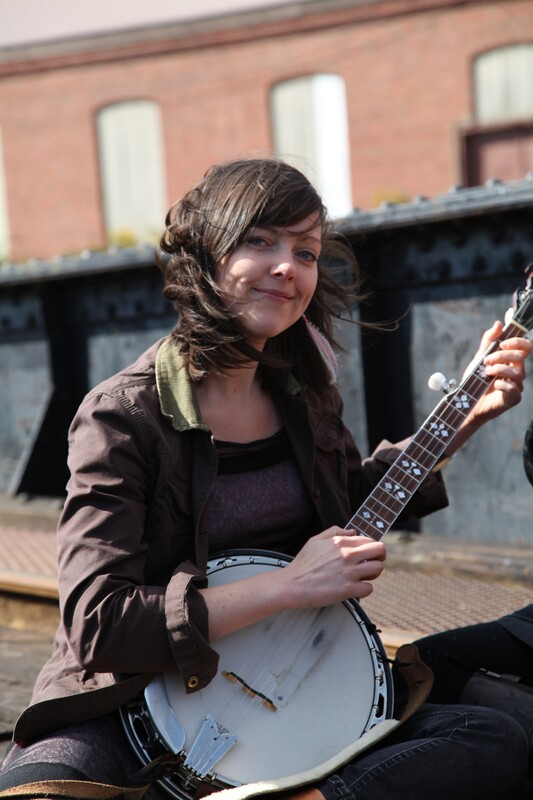 Originally from Olympia, Washington, Shanti Bremer started playing bluegrass banjo at the age of 11. Upon moving to Victoria, B.C. Shanti began exploring clawhammer banjo and old time music. She has since been refining her sound in both styles of the five-string banjo, and continues to delve into the traditions she loves. Shanti currently lives in Duncan, BC. Shanti was a founding member of Victoria acoustic roots trio, The Sweet Lowdown and played with the group from 2008-2017. Their most recent album, Chasing the Sun, was released in November, 2014. It was nominated for a Western Canadian Music Award and a Canadian Folk Music Award. Their previous album, May, was nominated for a Canadian Folk Music Award and was awarded “Roots Album of the Year” (Vancouver Island Music Awards). Their first album, The Sweet Lowdown (2011) was nominated for the same. They are available now on CD Baby. Shanti released a solo EP in 2012 called Lights Low. It is also available on CD Baby. In addition to performing, Shanti has taught private lessons on both styles of 5-string banjo to hundreds of students. She also teaches regular workshops and has been an instructor at NimbleFingers Bluegrass and Oldtime Workshop (Sorrento, BC), Northern Lights Bluegrass and Old Time Workshop (Saskatchewan), Kluane Mountain Bluegrass Workshop (Whitehorse, YK), Vancouver Island Music Workshop (Parksville, BC), Old Town School of Folk Music (Chicago, IL), Dusty Strings (Seattle, WA) and at Larsen School of Music (Victoria, BC). Please email shantibanti@yahoo.com for teaching and bookings or for questions/inquiries.